Our latest company newsletter was posted last weekend. You can read the newsletter online or subscribe to receive them automatically. We average one per month, and they are another way, in addition to this blog and twitter, to keep abreast of new products, updates, and messages. Mark/Space engineers were a few of the over 5000 lucky ones who got to attend the sold out Google I/O conference earlier this month in San Francisco, California. There was a lot of info shared by Google, some of it still so secret we can't tell you yet! We did learn, and can share, that there are currently over 100 million activated Android devices, with 400,000 new Android devices activated every day. That's a lot of Android action! Mark/Space joined the "in crowd" of developers, learning more about the 3.1 update to Google's new Android 3.1 operating system, code named "Honeycomb". Many of the latest Android tablets, such as the Motorola XOOM and Samsung Galaxy Tab 10.1 are running this new Android OS. We attended several Honeycomb sessions to make sure that we have all of the tips and tricks to make sure our apps optimized for it. The much acclaimed Samsung Galaxy Tab 10.1 Honeycomb tablet, which we first saw at the CTIA show in Orlando last March, was handed out at the conference, providing developers a month to get ready before the official release. 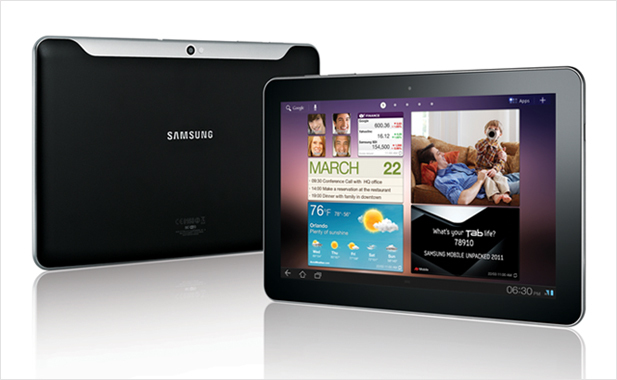 The Galaxy Tab 10.1 has a powerful CPU that runs flash smoothly, and a large screen in a very thin form factor. 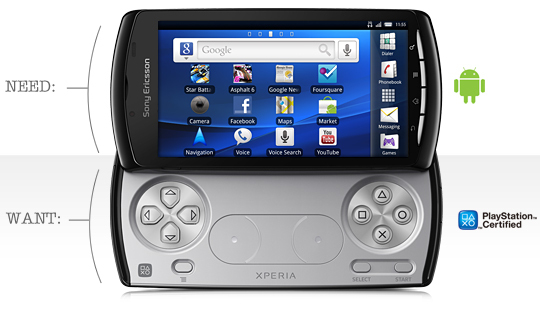 Also, Google and Sony-Ericsson provided game developers with free Xperia PLAY (as in PlayStation) devices. 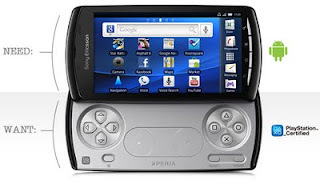 In this phone, it's a lot more Sony then it is Ericsson, but that's a good thing! Gamers are going to enjoy this. The slide out game controller feels good – near the feel of a regular controller. The sound (2 speakers in real stereo) is pretty good for a phone. Of course, The Missing Sync for Android works well with the Xperia and will keep it in sync. Barnes and Noble passed an important milestone last week with the NOOK Color -- over 1 million application downloads in the first week of launching Nook Apps. It was also an important milestone for our Fliq series of personal productivity applications, as it was announced that Fliq Calendar, Fliq Notes and Fliq Tasks took 3 of the top 5 spots in their download rankings! "No longer just a book and magazine reader, the 7-inch Android-based device would be an affordable option for people looking for a (lite) tablet experience. "The Barnes & Noble NOOK Color has quickly become a viable Android tablet through software upgrades and their fairly-new Apps store. Our latest company newsletter was just posted over the weekend. 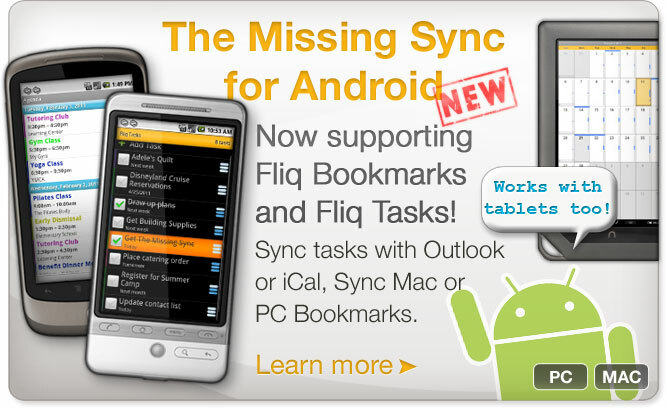 We officially released the 1.6 update to The Missing Sync for Android today, both Mac and PC versions. We had been posting the various components as they were finished over the last few weeks, and all of the components were finished and ready for the final release earlier this week. 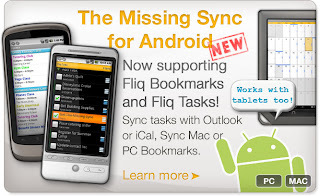 The update combines our additions of Fliq Tasks and Fliq Bookmarks to our Fliq lineup of Android productivity/PIM applications, with changes to the Mac and PC desktop applications to support sync of those data types to Outlook and iCal (for Tasks) and Safari and IE (for bookmarks). The update is free for all existing customers of the product, and available at our store starting from $39.95 (business editions and multi-packs also available). If you are an existing customer of one of our other products, you can get the special customer loyalty sidegrade price of $29.95. This marks our last planned feature update to the 1.x series of the product, a total of 6 feature based free updates since we released the product back in November of 2009. We will continue to put out any maintenance releases or bug fixes needed, but the majority of our efforts now shift to starting work on our first major update, version 2.0, planned for release later this year.